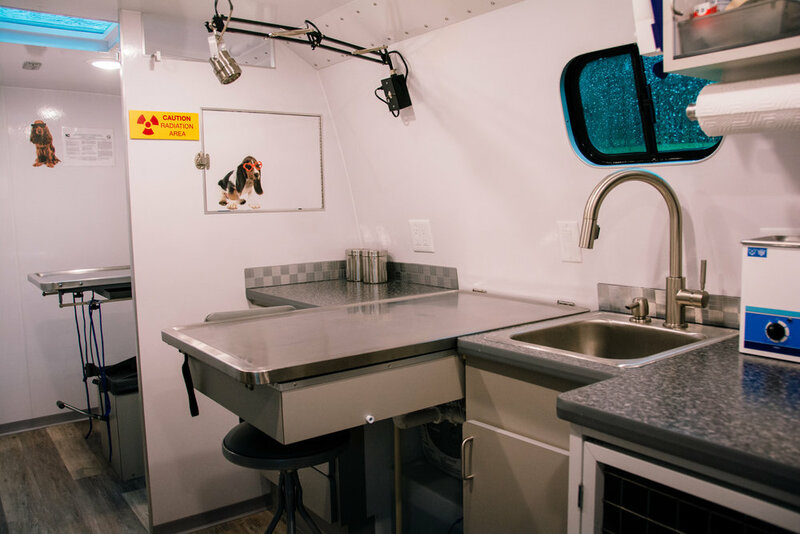 Our 24' long mobile clinic is equipped with the same equipment and supplies as a stationary clinic, allowing us to provide the same complete, high quality veterinary care for your pets. 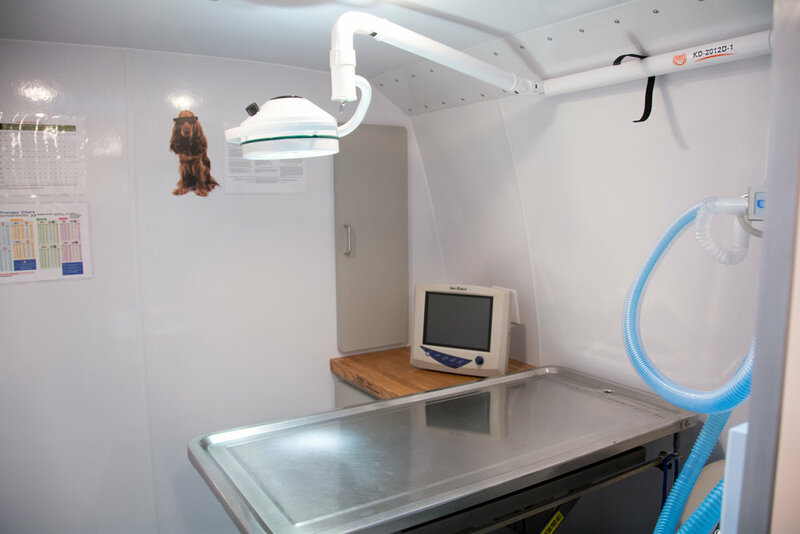 Dr. Terra's clinic was custom built by her dad, and is large enough to include a small animal examination and treatment area, including dentistry, as well as a full surgical suite, laboratory, portable digital x-ray and kennels for surgical recovery or day hospitalization. We are equipped with all necessary equipment for large animal services, including field surgery, dentistry and wellness for large animals as well. 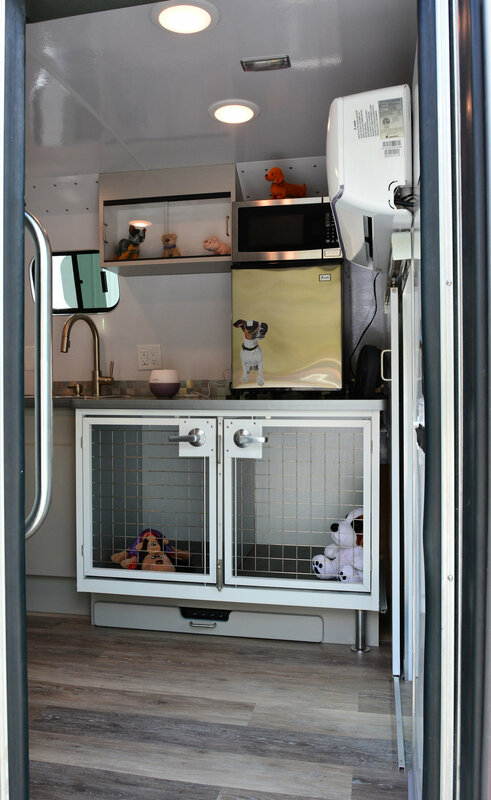 With our mobile clinic we are able to offer the same veterinary services as a brick and mortar facility, at the convenience and comfort of your home or farm. See the photos below for a tour of our clinic! Our mobile unit does have a few limitations. We do not perform orthopedic or other major surgeries in the unit. We do not offer overnight hospitalization or after hours emergency services for small animals. However, we have developed resources for our small animal patients so that we can facilitate their care in all of these circumstances.